SpecTech Electrical – Your local electrician. 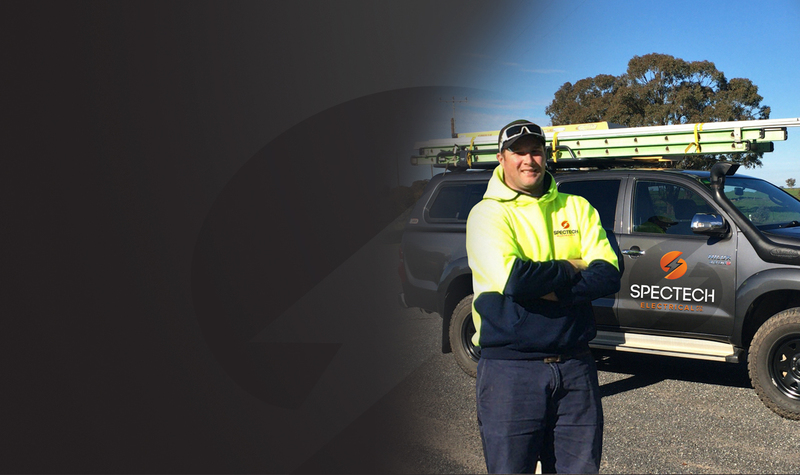 SpecTech Electrical is a locally owned and operated business family based in Central Victoria. Our fully qualified expert technicians pride themselves on offering prompt, reliable and professional electrical service at the right price. With Ben and the team at SpecTech Electrical you’ll get the professional help, advice and guidance you need, when you need it. Talk to us today for a no obligation free quote. Servicing Bendigo and surrounds, Maiden Gully, Marong, Bridgewater, Newbridge, Serpentine, Inglewood, Wedderburn.